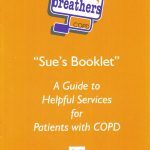 Sue's Booklet was launched at Liskeard Hospital on Wednesday 11th October. 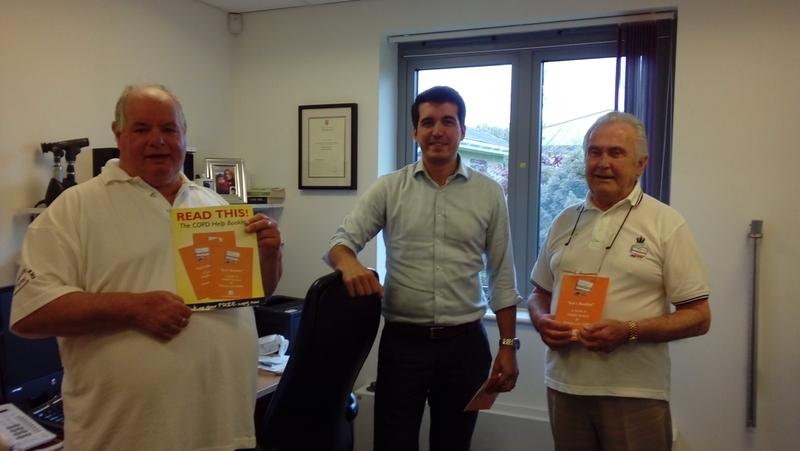 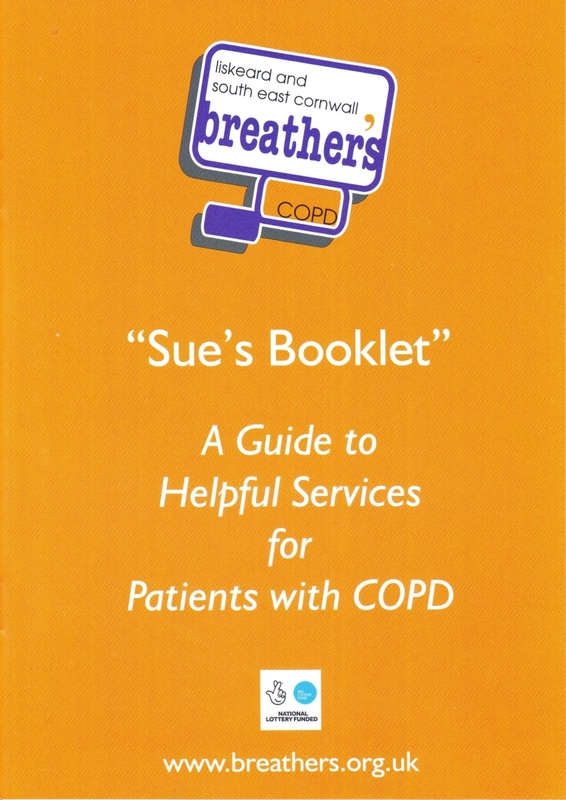 This is a booklet of useful information that we have compiled for Cornish COPD sufferers. 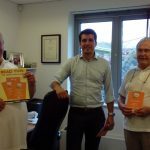 We are hoping to have them available at all Cornish surgeries and hospitals. 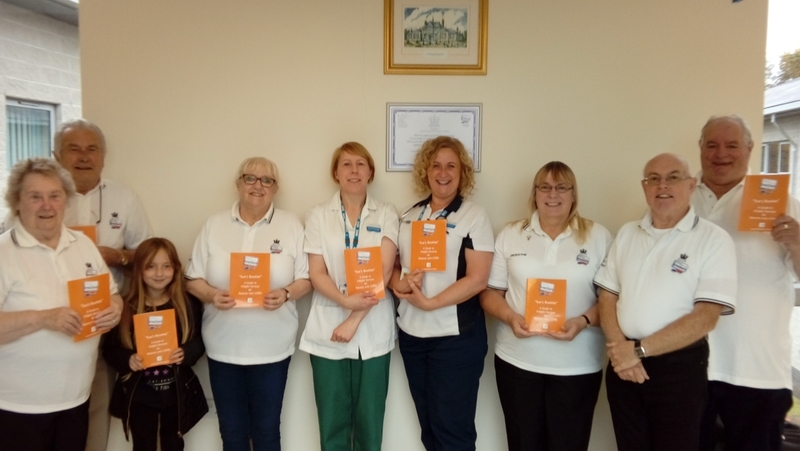 The photos show the front cover of the booklet; launching the booklet at Liskeard Hospital with members of the group and Rachel Partridge and Rachel Williams of the East Cornwall respiratory nurse team; and presenting a box of booklets to Dr Symonds of Oak Tree surgery, Liskeard. 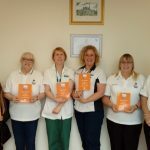 To find out more about the booklet and download a copy click here or go to the "What We Do" page and click on the orange "Sue's Booklet" link.